Many people understand the concept of thinking outside of the box for cabin design, but how about thinking beyond the number 1? 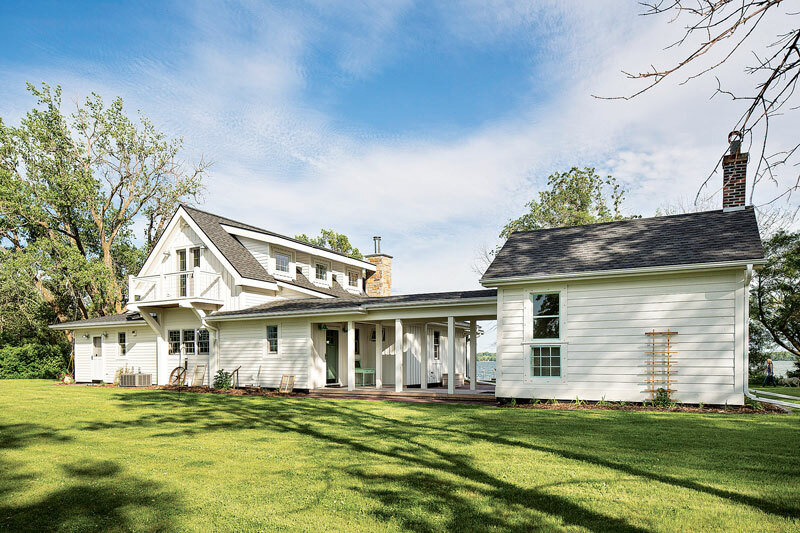 Many factors might be well served by contemplating several smaller structures rather than one larger building like budget, timing, zoning or perhaps that two or more smaller cabins may just look better. A principal cabin and a guest cabin create many opportunities for use, such as for diverse guests, seasonal use – like only needing to heat one through the winter – or for those noisy teenagers to be just a little farther away. Zoning rules may limit your property to only one dwelling, but inclusion of a combining roof structure meets the letter of that law. Thus, through the addition of a breezeway between cabins, all the desired attributes of separation are there with a bonus of being able to move between units under cover from rain or scorching sun. The linkage can be used to connect more than two structures as well, whether those buildings are existing or new. Or the linkage itself can be a useful space, such as a screen porch or covered barbeque. I have designed several linked structures for different reasons, so let me share a few. An old granary buried inside a derelict cabin was saved from demolition to become the teenager getaway for this replicated porch cabin. The covered walkway assures a single structure zoning classification and an out of the rain dash to the bathroom or mom’s cookie jar. The Southern building concept of two structures sharing a roof with a covered open space between is referred to as a dog trot. Here it’s employed a long way from the South along the North Shore of Lake Superior. Our clients wanted a garage with a studio above it and a cabin. To keep plumbing out of the garage, we connected the structures at the upper level, using a screen porch hung under the roof. Thus, the second level studio has a covered connection to the bathroom in the upper level of the cabin. 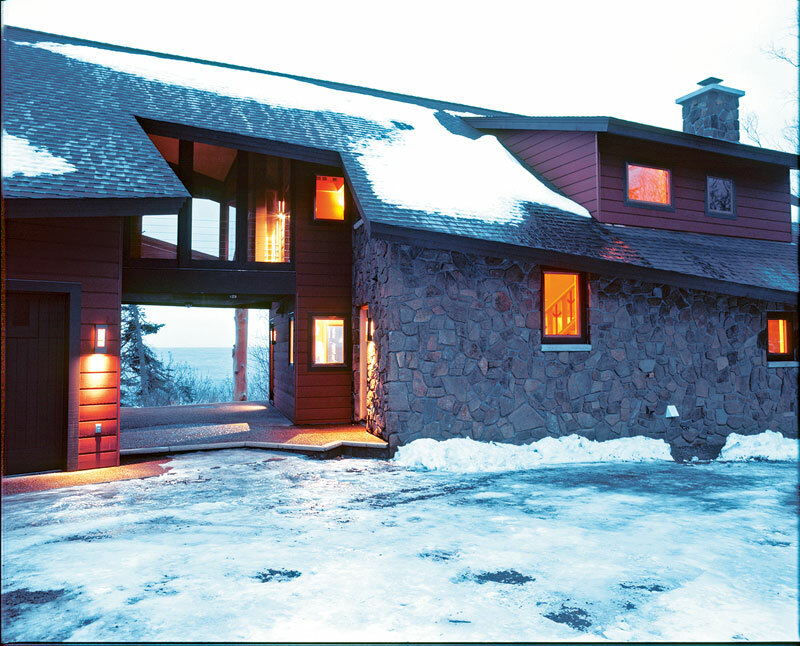 An added benefit is that the structure’s composition frames the entry view to the big water of Lake Superior. Zoning code compliance necessitated linking a two-bedroom garbin (garage cabin combo) to a charming one-bedroom older cabin. Adding the link with a porch in the middle made the whole area more livable and likable. 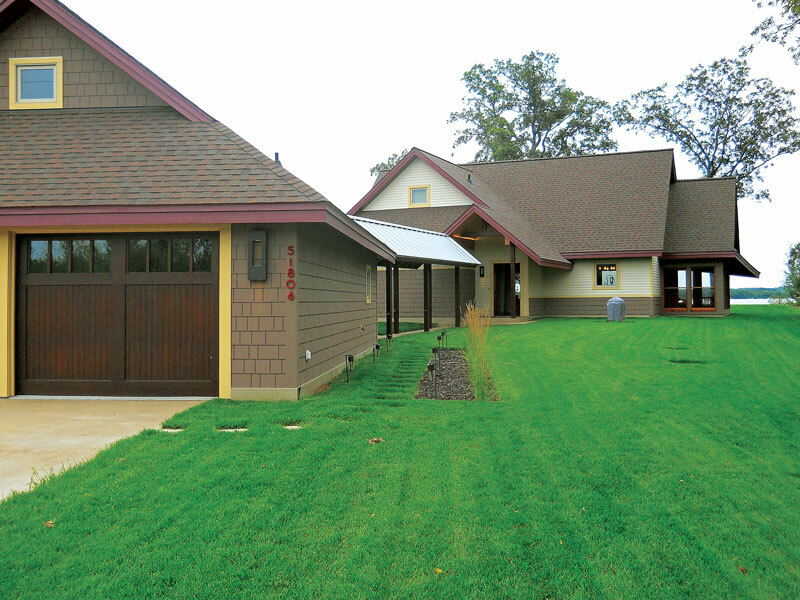 The porch is developed with a gas fireplace and plastic windows for extended seasonal use. A studio/garage is linked to a cabin in an all new complex of structures on a narrow lot. The roof of the link is varied from the cabin and garage to reduce the scale. The garage was angled from the cabin to give a second-level lake view out of the studio. 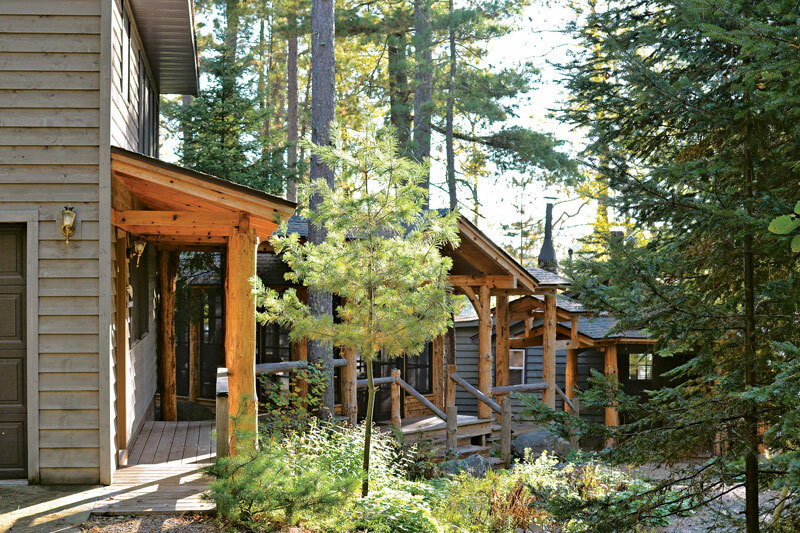 Cabinologist Dale Mulfinger regularly designs cabins with Minnesota-based SALA Architects, teaches cabin classes and gives talks on cabin design across North America. He has authored five cabin-centric books.